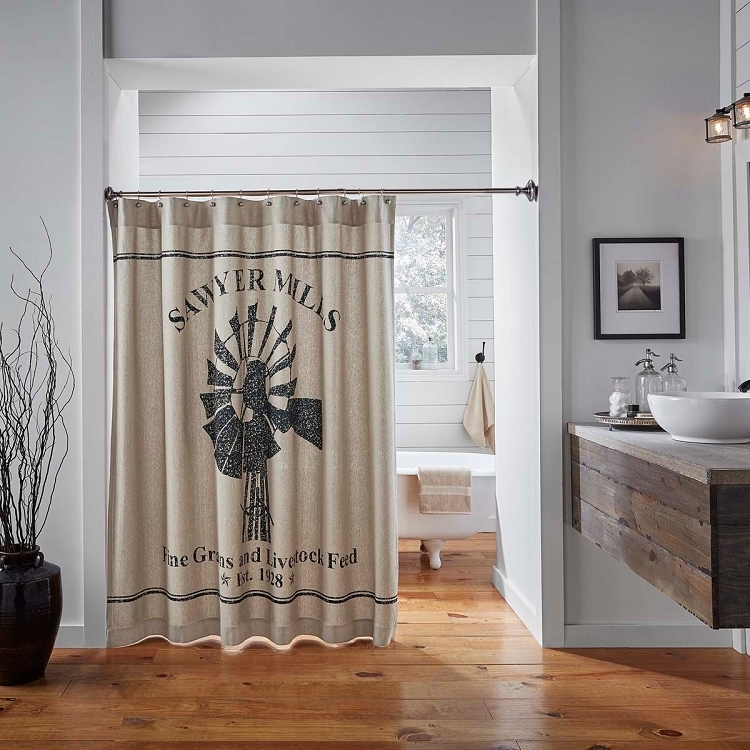 Sawyer Mill Shower Curtain from VHC Brands brings a Farmhouse look into the bath with its themed black stencil over khaki chambray. 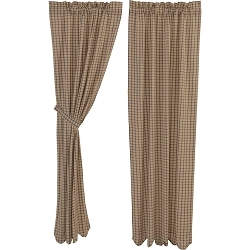 Single fabric; Machine stitched; Straight edge; Features 1.5" header with 1" button holes. 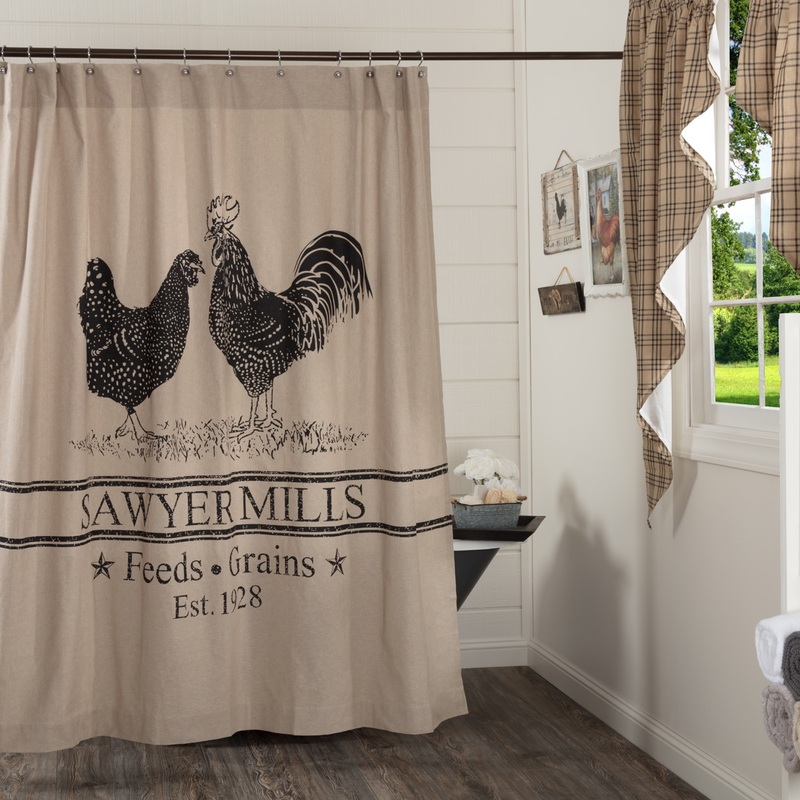 Sawyer Mill Charcoal Stenciled Patchwork Shower Curtain for a casual farmhouse look. 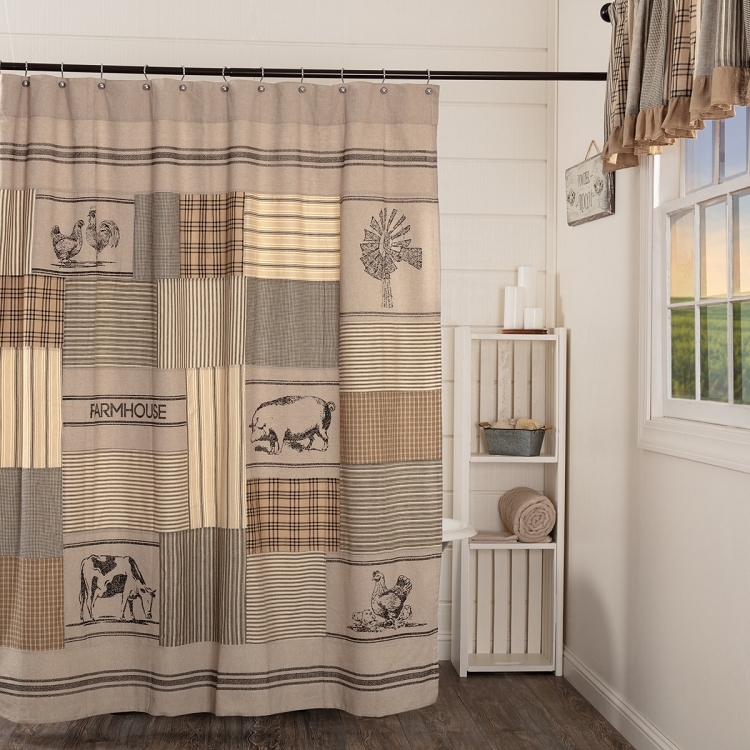 Featuring irregular block layout in various plaid and striped Farmhouse fabrics, accented by stenciled farm themes on textured khaki chambray. 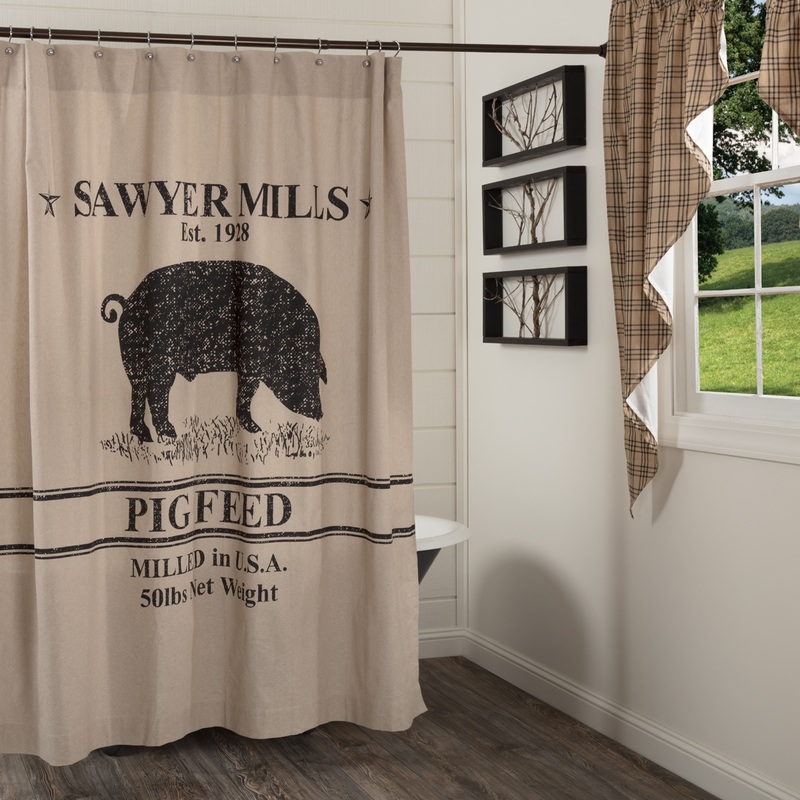 A special farmhouse touch includes stenciled blocks contain chicken, windmill, pig, cow, and "Farmhouse" themes. 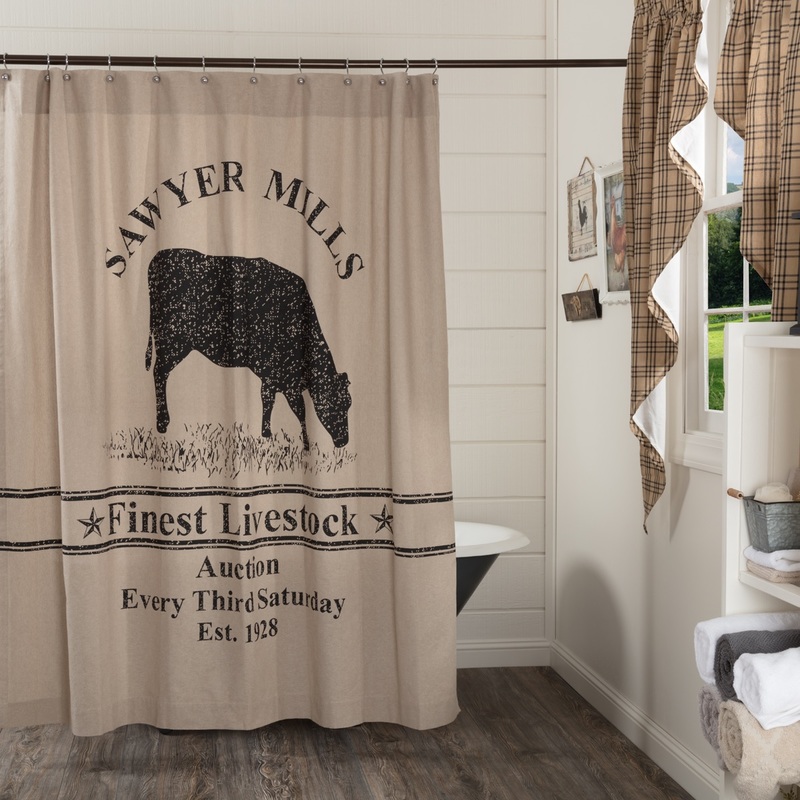 Easily hang this farmhouse shower curtain with 1.5 inch header with 1 inch button holes and 3 inch rod pocket.